Dr. Marquez Ball is an innovative preacher for the 21st century. His unique approach to sharing the gospel has led him to share an old message in a fresh innovative way so who is Dr. Ball? Dr. Ball is a Native of New Orleans, Louisiana. He received his license to preach in May of 2000 at Greater Zionfield Baptist Church in New Orleans. At that time, he was the youngest licensed minister on staff at Zionfield but that did not stop him from spreading the Word. He started attracting hundreds of his classmates from high school to his church. After high school Dr. Ball joined the Air Force and moved to Maryland. In November 2004, he was called to be the full-time youth and young adult minister at Mount Carmel Baptist Church, Northwest, Washington D.C. under the leadership of Joseph N. Evans, Ph.D. 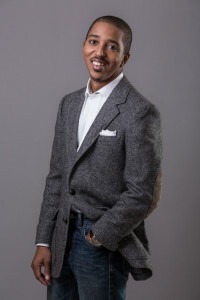 He hit the ground running, establishing an evening service geared towards young adults and college students, which transported students from Howard University. He also developed an after-school program, which transported students from Dunbar High School, providing tutoring and dinner. He was also involved in a mission’s outreach, which provided chapel service at Gospel Rescue Mission monthly. The Mount Carmel Baptist Church ordained him in July 2009. Dr. Ball serviced at Mt. Carmel for over nine years. In November 2013, God gave him the vision to plant Uplift Church which launched September 14, 2014 in Laurel, MD with over 150 in attendance. While Dr. Ball was active in doing the work of ministry he also wanted to learn theology. He received a BA in Biblical Studies from Maple Springs Baptist Bible College, a Master of Divinity degree from Howard University School of Divinity. He earned his Doctorate from The Southern Baptist Theological Seminary focused on Black Church Leadership for the 21st Century. He is also a Foundations of Christian Leadership fellow at Duke Divinity School focused on brining balanced innovation to traditional institutions. Dr. Ball is young and innovative, yet he understands the importance of learning from seasoned ministers and leaders. He is a member of the 100 Black Men Inc and Alpha Phi Alpha Fraternity Inc.
Now in his late 30′s having preached for over 20 years, he is still a motivated man of God who has a passion for winning lost souls to Christ. He is committed to the call of God on his life, and excited as God continues to do great things in his life and ministry. He is married to Sabrena Ball and they have three sons Micah, Nathan and Christian. You can find Dr. Ball posting weekly Bible Studies on YouTube, Daily Uplifts on Instagram and Facebook. He also writes for the Washington Times and the Center for Public Justice. Dr. Ball is determined to reach a new generation for Christ.